Promoted to MVP since 2009. There are less than 300 people worldwide with this recognition within SQL Server/Business Intelligence. Three-time winner of Phil Factor Speed Phreak, an international competition in performance tuning. 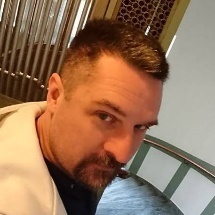 Organizer of annual Swedish T-SQL Championship and member of board for SQLUG, Swedish user group for SQL Server and Business Intelligence and the largest user group outside US. Frequent speaker on conferences and an experienced instructor. 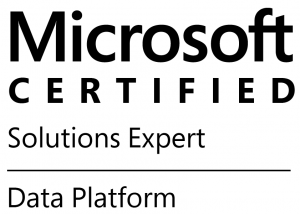 Peter has produced about 20 courses in programming/SQL Server design and development. Co-author to MVP Deep Dives Volume 2 and technical reviewer of RedGate’s ”Team Based Development”. Have written articles for RedGate such as ”How to think like a professional developer”. 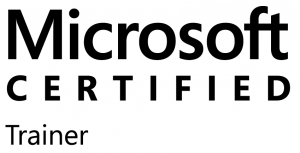 Technical reviewer of Microsoft Exam 70-462. Peter is perceived as thorough, structured and analytic. Peter also have a strong pedagogic side. He is driving and delivers the optimal solution for the customer, according to the agreed timeline. His strength is the ability to see solutions where others have given up. Working with a number of [international] customers such as If, Region Skåne, HomeEnter och a nordic bank as a mentor, database expert and developer. He has also worked with Lindab, CDON, DA, FDC, DSV, Sony Ericsson, Strusoft and Software Point with eliminating deadlocks and locks, enhancing data flow for the applications and at the same time allowing for multiple simultaneous users. Mentor and senior architect and senior developer in multiple critical projects, with focus on performance and maintenance simplicity. Homeenter is a company within Bonniers who operates the largest loyalty club in the Nordic countries regarding entertainment (film, music, game). Peter was main responsible of the design and schema for their Data Warehouse and Business Intelligence solutions. Operational data was captured from 4 core business systems and 7 production systems including up to 30 years of customer history. Developer for several customer databases, including Åhléns, Kicks, Svensk Bilmärkning, SJ, Intersport, Retail’N’Brands, JC, Sisters, Brothers and others. Developed new algorithms and ran classes for SQL Server 2008. Designed and built Business Intelligence-solutions. Did review and wrote performance optimizations for H&M, resulting in over 100% faster execution times and reducing use of local resources with 75%. Wrote and held internal classes for other consultants. Did benchmark testing, unit testing and migrering tests prior upgrading to SQL Server 2005. Other Assignments inlcudes EON, Watski, FL Snus, Lindab and Alfa Laval. Architect and developer for a new CRM system and databases for over 540 users in Sverige, Finland and Norge. Developed algorithms with Bankgiro and Svenska Försäkringsföreningen. Also wrote web front-end applications from. Software company known for economy and accounting systems. Developed several critical algorithms for tax calculation. Developed applications in both Visual Basic and MS Office as well as SQL Server for ASG, Fiat, NTS, ERT, STS and PNO. Oct 2016 – Jun 2017 Peter designed and wrote a new DW for OneMed, that had performance, maintenance and determinism in mind. Average load time went from 11 hours to 1 hour. Quality and determinism went up to 100%. Feb 2015 – ongoing Peter initially did a pre-study to analyze the customer’s current solution and propose and new architecture to make the import more efficient for e-Arkivet. The pre-study resulted in a project to rebuild the import functionality with SSIS to maximize performance and also to facilitate multiple parallel imports at the same time the system is used for normal operations from 5000 users. Peter was the architect and developer in this project. Main goal was performance but a close second was maintenance simplicity. Aug 2012 – ongoing Peter was summoned to solve a grave performance issue. He managed to bring the search times down from 134 days, to a sub-second response time. To achieve this, Peter had to redesign the database schema and minimize the interface to the client applications. Imports was rewritten with SSIS, which made the imports 10 times faster. Mathematic and Physics including programming classes. Major in pedagogy.